It is with great joy and blessing that the Shrine of St Sharbel was dedicated by His Excellency A Elias Zaidan, Bishop of the Eparchy of Our Lady of Lebanon Los Angeles on March 26, 2017. I wish to warmly thank all the many donors, families, volunteers and contractors who with love, gratitude and a devotion to St Sharbel made this happen. 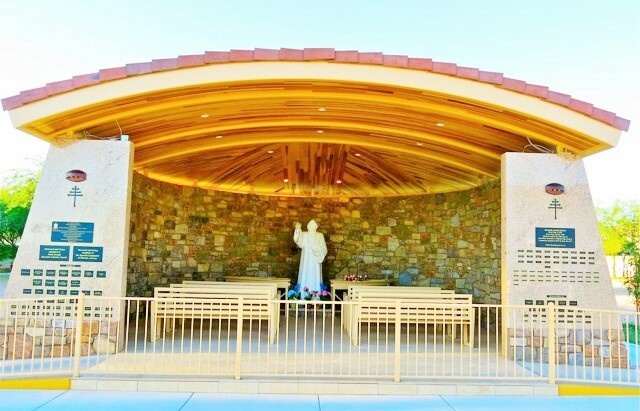 The Shrine is open to all to come pray, meditate, reflect and reconnect spiritually and with faith. The Shrine is a prilgrimmage destination, a landmark and a source of pride for the City of Phoenix. The Shrine is open 365/24/7.